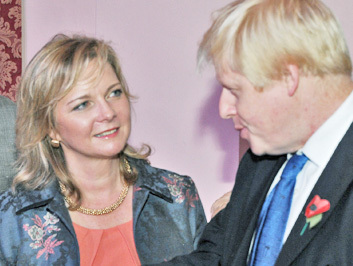 London Mayor Boris Johnson joined the campaign to support Richard Fuller MP of Bedford and Kempston. 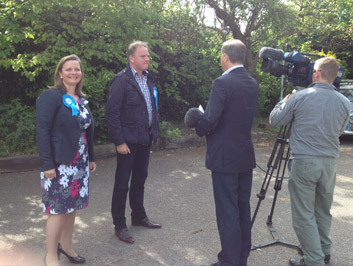 Kristy Adams meets David Cameron in Milton Keynes as he tours the country supporting local businesses. 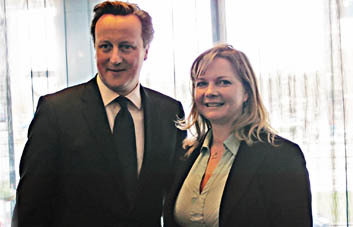 Kristy said “I am delighted with our Prime Minister who prioritises businesses of different sizes and champions them. As a business person it’s heartening to see the leader of the country taking such a keen interest in small, medium and large sized business. Richard Fuller MP, Councillor Kristy Adams, and Councillor John Mingay joined forces with local and national campaigners to raise the profile of a necessary regional rail link. 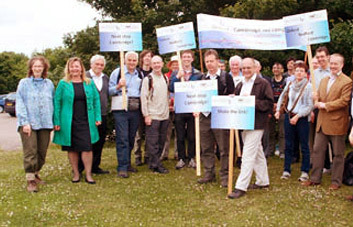 Campaigners want to see a train line between Oxford and Cambridge, linking via Bedford. This would connect two of our most significant University centres, and put Bedford at the heart of economic development. Top image: Kristy Adams was elected as Area Chairman for the Conservative Party in Bedfordshire and Cambridgeshire for 12 associations. 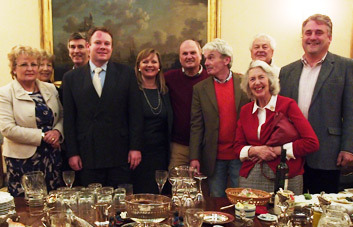 She is seen here with area representatives. Bottom image: Robert Sears, Regional Chairman for the Conservative Party in Bedfordshire and Cambridgeshire, works in partnership with the new Area Chairman. 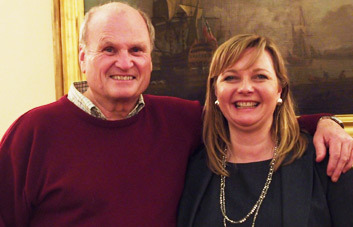 Cllr Kristy Adams and Richard Fuller MP review plans for the East West Rail Link. This line would connect Oxford to Bedford, and Bedford to Cambridge, creating development opportunities and new jobs for Bedford. This is a key opportunity for Bedford. Cllr Kristy Adams is delighted that Campaign for Better Transport and Rail future East Anglia are keeping up momentum, following the announcement of the Oxford to Bedford section of the East West rail link, and promoting the Bedford to Cambridge stretch. 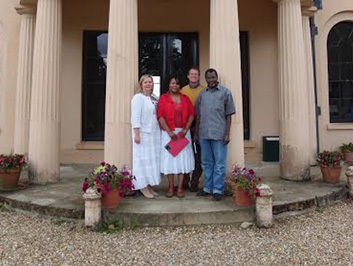 Richard Fuller MP, Kristy and Cllr John Mingay joined forces with campaigners at Priory Country Park in Newnham Ward. Modern slavery, also called Human Trafficking, is happening in the UK today, in the countryside and urban areas. It includes forced labour, domestic servitude and sexual exploitation. In response to the shocking figures, Kristy Adams formed a called Bedfordshire Against Modern Slavery, which partners local charities, the Soroptomists, the Police, Councils and other front line workers. They have trained over 220 frontline workers to identify victims and understand the National Referral Mechanism. This enables victims to access housing, food and clothing. Kristy continues to run a media campaign to raise awareness on this issue. 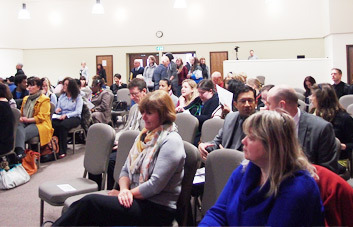 In April 2013, Kristy Adams organised a very successful seminar to start the campaign, bringing in many significant leaders from local community services. 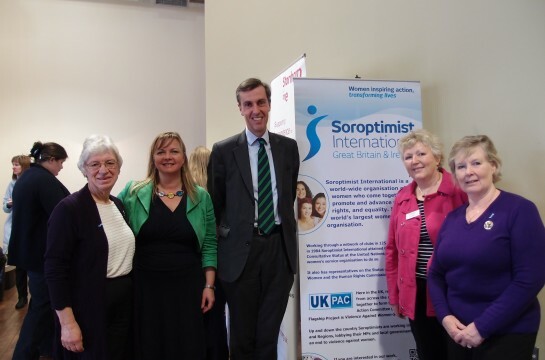 The video link below shows highlights from the day, including sessions by Andrew Selous MP, Charity – Hope for Justice and Bedfordshire Police. All political parties in Bedford – Conservative, Liberal Democrats and Labour – worked efficiently together to save vital healthcare services at Bedford Hospital NHS Trust, in conjunction with Richard Fuller MP. 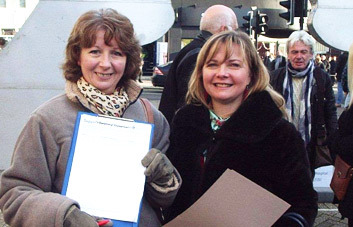 Cllrs of all political Parties collected signatures for the petition to stop the closure of services at Bedford hospital. 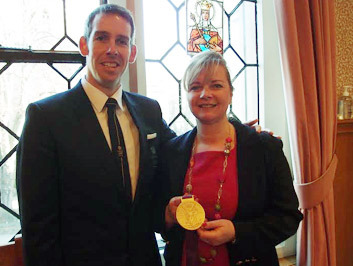 Olympian Etienne Stott is awarded the Freedom of the Town of Bedford. Etienne can now both canoe under the town bridge and also drive sheep across the bridge! And he allowed Kristy to hold his Olympic medal. Cllr Kristy Adams with members of the planning team for Bedfordshire’s Black History month launch party. Kristy used ward fund money for this community event. The event included a reading from a poet, many wonderful songs from the community gospel choir. A look back at the history of slavery and celebrating black achievements. Kristy spoke of her political hero William Wilberforce and being a person of courage, long suffering and tenacity.